One Arts Plaza is a multi-use building with luxury residences starting on the 18th floor. Its located at 1717 Arts Plaza in the heart of the Arts District. This contemporary High rise is a Lionel Morrison-designed building and location is ideal with an array of dining and entertainment. These homes are finished out with the finest modern appliances such as Miele appliances and Bulthaup kitchens. You will find open spaces and modern luxury living a top of the Dallas Skyline. 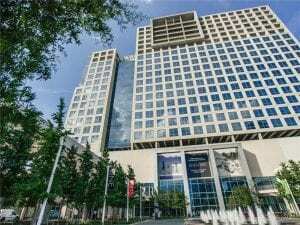 Living at One Arts Plaza puts you in the Cultural art district near The AT&T performing Arts Center, Dallas Museum or Art, and Dallas Theater. One Arts Plaza is a full-service high rise building with a list of resident amenities including a roof-top pool, state-of-the-art fitness center, doorman, concierge and valet parking.